Following the tragic fire at Grenfell Tower in Kensington, London, a group of societies from Middlesex University have organised an emergency response. 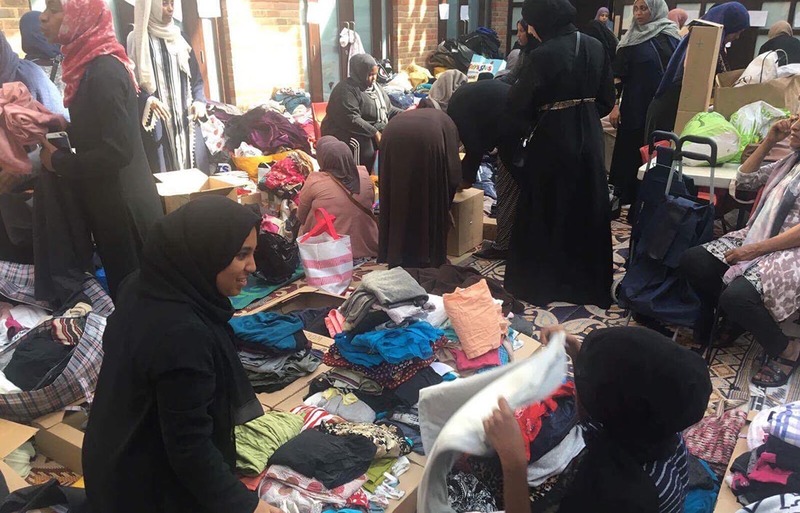 The volunteers, led by student Ayah Benberna and the Islamic Society, and supported by Middlesex University Students’ Union, have volunteered at local community centres and donated food, clothes and money as well as blood. Grenfell Tower made headline news on 14 June after a devastating fire gutted the 24-storey residential building. So far more than 30 are known to have died, with many more missing. Sabren Amin, who is Vice-President of the Arab Society at Middlesex as well as a volunteer at Al Manaar Muslim Cultural Heritage Centre, explained why she is volunteering to assist the victims: “When you see the devastating situation that happened on the news, I don't feel like there’s any human that wouldn't want to help, especially knowing that the affected area is only a few train stops away. “As sad as the situation was it's incredibly heart-warming to see people from all backgrounds and walks of life come together and give all the support that they could. What stood out to me the most was that so many of the volunteers were fasting while the temperature was so high, but that didn't stop any of them - they were lifting the heavy boxes, running back and forth to sort through donations and walking in the heat [...] to deliver the donations to exactly where they were needed." She added: “My heart goes out to all the people who resided in Grenfell Tower and their family and friends."